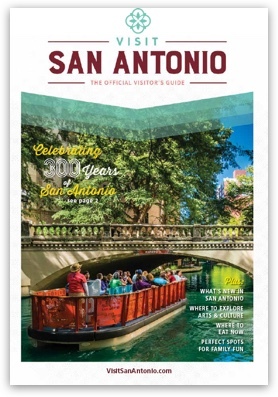 Explore San Antonio’s North Central neighborhood and you’ll find upscale shops, family-friendly eateries and entertainment for adventurers of all ages. Complete with breathtaking Hill Country views, this neighborhood is hard to beat. La Cantera, a mixed-use development, offers upscale shopping, dining, lodging, golfing. Enjoy musical shows and hair-raising rides at Six Flags Fiesta Texas (don’t miss the fireworks on the weekends!). Further east, Stone Oak boasts small and large shopping centers as far as the eye can see up Highway 281. Eat, drink, shop and repeat. Part of the rich history of native Indians, Spanish conquistadors and early Texas settlers, La Cantera was once mined for its limestone, the iconic building block of the region, until that resource was exhausted. In the mid 1980’s, the land was redeveloped. Today, this neighborhood boasts popular attractions like Six Flags Fiesta Texas, shopping, dining, entertainment and so much more. Experience thrills at Six Flags Fiesta Texas for all-day family fun. Ride Batman™: The Ride, a world-class 4D free-fly coaster; then, jump on the park’s newest attractions – WONDER WOMAN, Fireball, Hurricane Force 5 and Spinsanity – that overlook the park’s Fiesta Bay Boardwalk. Slow down a bit up the road at the La Cantera Resort & Spa where you can take a dive into one of their five swimming pools. Or play indoors at Topgolf with climate-controlled playing bays and arcade games. For more indoor thrills, grab a lane at Bowl & Barrel, play laser tag at Main Event Entertainment, free fall at iFly, and race at Andretti’s Indoor Karting & Games. If shopping is your thing, the options here are plentiful. Indulge with luxury staples and boutiques at The Shops at La Cantera, browse staple and local stores at The Rim, or check out boutique finds in Stone Oak. Grab a bite or two of the finest beef at the Chama Gaucha Brazilian Steakhouse. For modern Texas cuisine, check out Sustenio Restaurant and Bar at the Eilan Hotel & Resort. Or grab a downhome burger with lots of running room for kids at Big’z Burger Joint. Complete your tour with a visit to Hills & Dales Ice House, a local beer garden and bar with a huge selection of bottled and draft beer. Experience luxury with Hill Country backdrops at La Cantera Resort and Spa. Or, consider the Eilan Hotel and Resort for modern amenities and upscale offerings. Landmark by Embassy Suites is conveniently located to all nearby attractions and is family-friendly. And, the JW Marriott Hill Country Resort & Spa boasts fun attractions for all ages – upscale offerings in golf and spa services, a Texas-sized lazy river, and nearly a dozen on-site restaurants and bars. Browse the offerings at the Shops at La Cantera – think Perry’s, Whiskey Cake, Palenque Grill, The Yardhouse, and P.F. Changs. Across the way at The Rim, consider burger standout, Hopdoddy. Or, dine and play at Bowl N’ Barrel. For dinner and a show, check out The Rustic for casual fare and live music offerings on their outdoor patio / stage. And don’t forget about Chama Gaucha, Signature at La Cantera, and Sustenio at the Eilan for upscale, special occasion dining and drinking. Shop ’til you drop at the boutique and upscale offerings at the Shops at La Cantera and The Rim. Explore new heights and new adventures at Six Flags Fiesta Texas. Bowl a round or two at Bowl N’ Barrel, play laser tag at nearby Main Event or race the clock at Extreme Escape. Take to the water at wave pools, lazy rivers and water slides at nearby resorts. Or, take your adventure outdoors at nearby parks for Hill Country views and plenty of fresh air.